If you’ve spent any time at all researching credit repair or just credit in general, you already know what an inquiry is. It’s common knowledge that when you apply for credit, the potential creditor requests your credit file, which is then furnished to them. This process, commonly known as “pulling credit,” is known in the industry as an inquiry, and you’ve probably also heard that certain inquiries can potentially be damaging. However, not all inquiries are the same, and it is very important to understand the difference between different types of inquiries and the reason for the difference between them. A hard inquiry, or a “hard pull,” occurs when a consumer applies for credit and the potential creditor pulls a complete, detailed credit report from the credit bureaus. This is the type of report that is used when you apply for a credit card, a car loan, or a mortgage. A hard pull provides the creditor with everything in the consumer’s file and is utilized as the main basis for extending or denying credit to the consumer. A creditor must obtain a consumer’s permission before performing a hard inquiry, as they can negatively affect one’s credit score, particularly if multiple hard inquiries are requested during a short period of time, as this can give the impression that you, as the consumer, are attempting to overextend yourself by obtaining more credit than you can pay back. Because of this, while you are repairing your credit, it is a good idea to limit hard pulls to only those necessary as part of your credit rebuilding strategy. A soft inquiry, or a “soft pull,” occurs when a company requests consumer credit information for other purposes, such as when a credit card company screens consumers for pre-approved offers or when an individual checks his/her own credit report. They also occur when employers access a potential employees credit as part of a background check or when financial institutions that you already do business with have a reason to pull your credit. Soft inquiries do not require the permission of the consumer prior to being performed, and they have absolutely no impact on your credit score whatsoever. Now that you know the difference between these two types of credit inquiries, it is prudent to understand why there is a difference in the first place. Under federal law, there are specific allowable reasons why consumer credit files can be obtained by a company. 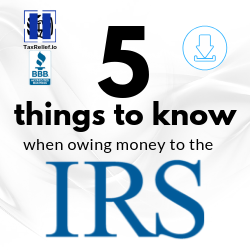 These are known as “permissible purposes.” When a hard inquiry is initiated, it is specifically being initiated at the request of the consumer with the intended purpose of initiated a credit account with the potential creditor or lender. When a soft inquiry is initiated, it is not necessarily done at the request of the consumer, except when checking his/her own credit, and is done for a number of other purposes other than applying for and extending credit. Thus, because hard inquiries are performed with the possible outcome of changing a consumers financial situation and potentially his/her ability to pay current obligations, they are factored into the algorithm used to generate a credit score; whereas with soft pulls, because the purposes do not generally have an effect on the ability of the consumer to repay current obligations, they are not factored into this algorithm. Both types of inquiries are reported in the consumer’s credit file, and because of this, you can keep an eye on the companies that have had access to your file, even those performing soft pulls without your knowledge. How do inquiries affect credit repair? As noted above, if you are in the process of repairing or rebuilding your credit, you should be very selective with your decision to allow any company to perform a hard pull on your credit file. While rebuilding your credit, you want to take on as little new debt as possible, except for strategically important accounts, such as a secured credit card, that you have factored into your credit repair goals. When it comes to certain types of accounts, such as those associated with financial institutions, cable/satellite providers, or mobile phone contracts, make sure to inquire directly as to what type of inquiry will be performed. While these should all be soft pulls, some providers of cellular service and some banks will actually perform hard pulls if the intent is to apply for a revolving account or a line of credit. If you are informed that a hard pull is going to be performed, kindly decline the application and walk away. Hard pulls can affect your credit score for months and stay on your credit report for up to two years, so it is absolutely vital that you limit them only to those necessary as part of your repair strategy. It is important to note that getting excessive inquiries deleted from your file can be accomplished as a part of your dispute strategy, so spending a little bit of time reviewing any hard pulls on your credit file for errors or inaccuracies can contribute to increasing your score if you notice anything that should not be there. On the other hand, because soft pulls have no effect on your score whatsoever, they can be utilized to get a good handle on the progress you are making during your credit repair journey. When you see the deletions starting to occur and your score starts to gradually climb, you can easily apply for a pre-approval decision with a credit card issuer just to see if your progress is converting to real-world results. Several major credit card issuers, such as Discover and Capital One, offer pre-approval checks that utilize soft pulls and can be used to accomplish that exact goal. These are rather easy to differentiate from hard pull applications because you will only have to provide limited information to for a soft pull, whereas a standard long-form credit application will be provided to you by companies relying on hard pulls. To better help you to determine whether the company will be using a hard pull or a soft pull, look for key phrases, such as, “Check your pre-approval status,” or “will not hurt your credit score” as a part of the process. Knowing the difference between a soft pull and a hard pull can be crucial to understanding the way your information is used to make decisions. Not only is it important to know that hard pulls should be avoided unless absolutely necessary as a result of their potentially derogatory effect on your score, but understanding the purposes for which they are permitted to be performed can aid you in any disputes, should you find hard inquiries that do not belong. Furthermore, understanding how you can use soft pulls as a way to judge the real-world results of your credit repair strategy can give you vital insight into how well your credit repair professionals are performing the job you have hired them to perform.